Kenyan politician readies to run in Olympic marathon – Kenyatta University TV (KUTV). All Rights Reserved. Dawn comes misty and cold on the steep sides of the Nyaru escarpment as Kenya’s Olympic men’s marathon team begin their training run, a line-up of veteran athletes including a current lawmaker. With the Rio Olympics Games less than two months away, the team with two-time London marathon winner Eliud Kipchoge and 2012 Boston marathon champ Wesley Korir, have stepped up their preparations in a bid to reclaim the title they last won eight years ago. 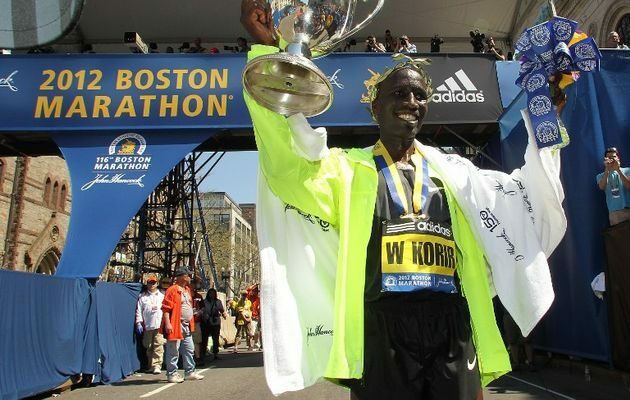 The 32-year-old Korir is also a serving member of the Kenyan parliament, well known as an anti-doping campaigner. A surprise inclusion in the squad, he joined the team for the first time to run the 40-kilometre (25-mile) course and was left bruised after the workout near Eldoret in Kenya’s north-west region. “The key now is to train hard, stay focused and remain healthy. I think we are going to take the top three positions in Rio,” Korir, taking a break from politics to train, told AFP. Korir says he is “excited to be the first-ever sitting Member of Parliament anywhere in the world to get the opportunity to run at the Olympics”.